Ware is a typical Hertfordshire market town, with a close community spirit flourishing amongst its historic and modern streets. From archaeological evidence, it would appear that earlier settlers were from the Iron Age and possible Bronze Age; however it was not until Roman times that Ware’s prosperity was established. Today, Ware is a busy commercial town which is proud of its heritage with a High Street that offers a wide variety of shops, including major retail outlets such as Tescos and Boots. There are plentiful restaurants to suit all tastes and a variety of pubs and wine bars. The market is held regularly on a Tuesday. 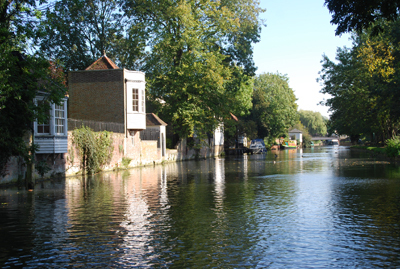 Recreational facilities associated with the River Lea and the Lea Valley are close to hand together with Hanbury Manor Golf Course, Chadwell Springs Golf Course, Ware Priory Lido and Woodson Park Sports Centre. Schools for all ages are close to hand together with Hertford Regional College, St Edmunds and Haileybury College. Ware railway station services London’s Liverpool Street and the A10 leads straight to the M25 and with Stansted Airport a mere thirteen miles away, international travelling is also easily assessable.